Kershaw is a knife company based in Oregon that offers exceptional products at reasonable prices. The brand is known for creating some of the highest quality knives in the industry. They recently introduced a budget-friendly category of knives which included the 1555TI Cryo Folding Knife. Although it has received some mixed reviews from the public, the Cryo was awarded the Best Buy of the Year in 2012 from Blade Magazine. Since then, Kershaw has released a follow up, the Kershaw Cryo II 1556TI, Blackwash and Tanto Blackwash versions of both designs. 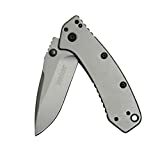 Kershaw is a brand of Kai USA Ltd, which is a member of the KAI Group, located in Tualatin, Oregon. The company was founded in Portland in 1974 by Pete Kershaw after he left his job as a salesman for Gerber Legendary Blades. Pete Kershaw has worked alongside many custom knife makers over the years to create some of the best knives in the industry. He has collaborated with Ken Onion, who is a Hall of Fame knife maker. Kershaw has also worked with Grant and Gavin Hawk, Ernest Emerson, Rick Hinderer, Frank Centofante, and others. Kershaw Knives is the manufacturer of several lines of pocket, sporting, and kitchen knives. 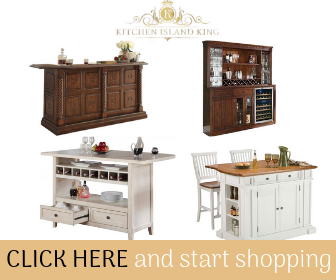 Their products include Zero Tolerance Knives, Shun Cutlery, and Kai Housewares. Below you will find a Kershaw Cryo Review for both the 1555TI and the 1556TI. Is the Kershaw Cryo Knife the Right Choice for You? The Kershaw 1555TI Cryo has a striking appearance that instantly attracts collectors and knife enthusiasts. Those who are looking to purchase a quality knife while on a budget will appreciate the affordable price of the Cryo 1555TI. But you shouldn’t think that the low price means you are dealing with a limited blade that is nothing more than a stylish pocket knife. The Cryo has plenty to offer those longtime knife owners who are used to purchasing high-quality, high-priced blades. The Kershaw Cryo 1555TI was designed by Rick Hinderer and engineered by the Kershaw company. It has a 2.7-inch stainless steel blade (8Cr13MoV). The blade features excellent edge retention to resist corrosion and excessive wear. It is also designed to be strong and durable throughout years of use. This versatile pocket knife is the ideal accessory for backpackers, hunters, hikers, outdoorsmen, trail guides, electricians, fishermen, and anyone who could benefit from using a tough and dependable pocket knife on a regular basis. It is a good knife to carry daily for tasks such as opening packages, stripping electrical wires, cutting zip-ties, and even removing splinters. The Kershaw Cryo 1555TI is an affordable, well-made pocketknife that can be useful for all types of situations. This knife is made from 8Cr13MoV Stainless Steel and features a Titanium Carbo-nitride coating. It has a 410 handle that is also coated in titanium carbo-nitride. The blade length is 2.75 in. The closed length is 3.75 in. 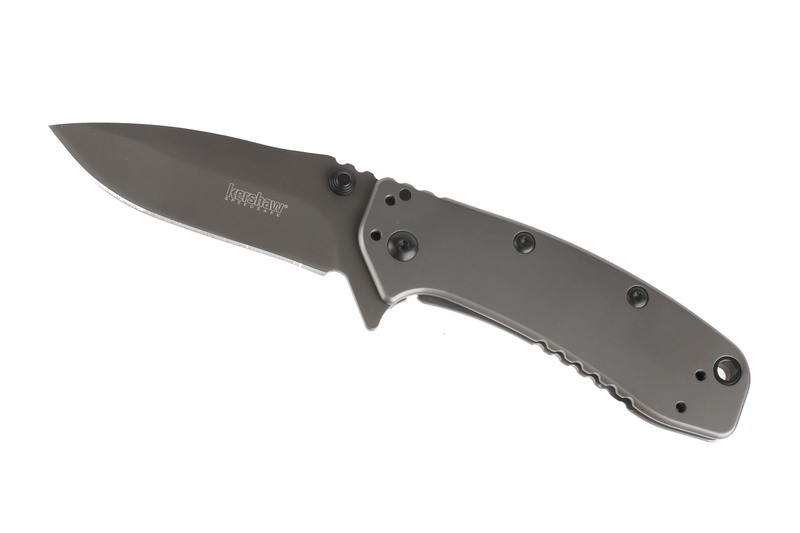 Overall, the Kershaw Cryo 1555TI is 6.5 in. long. This knife weighs 4.1 oz. The Kershaw Cryo 1555TI is designed to last throughout years of use. It features an all-steel construction exterior coated in titanium carbo-nitride to create a brilliant matte-gray finish. The construction of the knife ensures that the blade will preserve its hardness and edge retention over time. Additional key features for this knife include the following. When you need to open your knife quickly, do it in a safe and easy manner by using this helpful feature. 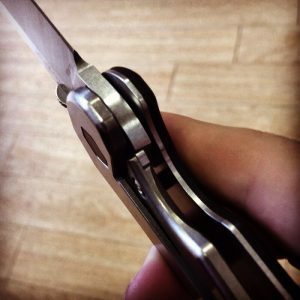 The SpeedSafe Assisted Opening allows you to open the knife by pushing the thumb stud outward. You can also pull back on the flipper, which can be used with either manual or assisted opening knives. This unique protrusion located on the back of the blade allows you to pull back, or flip it, to move the blade from the handle. This safety feature can help you avoid unwanted accidents. The Cryo features a study frame lock style that keeps the blade in place during use. It prevents the blade from closing accidently while you’re using it. And it is easy to reclose the knife when you are finished with your task. This tough frame lock is a great feature that can keep you safe whether you are an expert or a novice when it comes to EDCs. The versatile 4-Position Pocketclip allows you to keep your knife within reach at all times. It lets you position the clip so that you can carry your Cryo 1555TI either tip-up or tip-down. It can also be adjusted to provide convenient carrying for left or right-handed individuals. The Deep-Carry Pocketclip offers another option for carrying your Cryo knife. This clip lets you keep the knife secure inside your pocket, but still easy to access when you need it. The Kershaw Cryo II Pocket Knife 1556TI is a follow-up designed once again by Rick Hinderer. This knife is larger in size, but still has many of the features that made its predecessor an award-winning pocketknife. This versatile tool can be just as useful for hunters and anglers as it is for fire fighters and EMTs. Along with being a strong and sturdy knife, the Cryo II is also aesthetically pleasing and extremely well-made. The Kershaw Cryo II 1556TI pocketknife has a high-performance 3.25” blade made from the same stainless-steel material as the original Cryo knife. But unlike the original, it is 20% larger, allowing it to take on more difficult tasks. The size of the blade is really the only difference between the two knives. Collectors were very pleased when this new knife was released because it allowed them to own another great Hinderer creation, at an exceptional price. While the Cryo collection is very different from Rick Hinderer’s own selection of knives, the Kershaw pocketknives still have attributes that let you know you are holding a knife created in part by the famous designer. The Cryo II 1556TI pocketknife includes many of the features that customers loved about the original Cryo. The blade length is 3.25 in. Closed length is 4.4 in. Overall length is 7.75 in. Weight is 5.5oz. The handle is made from 410 stainless-steel with titanium carbo-nitride coating. The blade is made from 8Cr13MoV stainless-steel also with titanium carbo-nitride coating. The Cryo II features SpeedSafe assisted opening, a lockbar stabilizer, flipper and thumb stud, and a 4-position deep-carry pocketclip. The Kershaw Cryo II 1556TI knife has a strong and sturdy feel to it as it weighs 5.8oz. It is a heavy-duty knife that most would say shouldn’t be used as your everyday pocketknife. Unlike the original, the Cryo II features a blacked out matte uniform design that gives it a sleek and stylish appearance. This knife has a busy reverse side with a pocket clip, writing, and a lock bar stabilizer. The front is more minimalist giving it an opposing effect. The 3.25-inch lean hollow ground 8Cr13MoV stainless-steel blade features an acute tip and the manufacturer’s name inscribed. And although it is a Rick Hinderer design, you can see by looking at this blade that the knife was manufactured in China. That is one of the downsides of this Kershaw/Hinderer collaboration, at least for some collectors. With the full stainless-steel construction of this knife, the balance point may be off for some users. It is a heavy knife for some to use in comparison to the Cryo 1555TI. There are some who may prefer the lighter construction, especially if they are planning to use their knife daily. Yet others may appreciate the feeling of tough durability while they’re holding the Cryo II. The blade is very lean and some frequent Kershaw customers have stated that it is similar to the Kershaw Volt SS. This allows the Cryo II to slice easily, as soon as you take it from the box. The sleek and sophisticated style of this Kershaw knife makes it a good choice to carry along on belts, in your pocket or attached to a lanyard using the large pre-drilled hole. These varieties of the original Cryo pocketknife and the Cryo II include all the same features listed above. The Kershaw Cryo Blackwash 1555BW and the Cryo II Blackwash 1556BW, have a broken-in, rugged look with a smooth black-oxide blackwash coating that enhances the corrosion resistance of the blade. The Kershaw Cryo Tanto Blackwash 1555TBW and the Cryo II Tanto Blackwash 1556TBW knives have the same rugged black-oxide blackwash coating and feature a tactical tanto blade. Whether you go with the original Cryo knife, the Cryo II, the Blackwash or Tanto Blackwash versions, you will end up with a high-quality knife. This line of pocketknives was designed and manufactured by some of the best names in the business. They are used by the rugged outdoorsmen as well as by professionals such as firefighters, EMTs, and other emergency personnel. The Kershaw Cryo knife collection allows you to own a blade designed by a world-renowned expert, at a price that anyone can afford. It has many exceptional features that make it a simple and safe pocketknife, while it still has a strong and durable blade and rugged exterior that makes it perfect for daily use. If you are an experienced knife collector, or just starting to purchase valuable blades, you should consider adding one of these quality Kershaw knives to your collection. And if you simply want a strong and reliable pocketknife that has a great design and plenty of useful features, you won’t regret purchasing a Kershaw Cryo or Cryo II. It is hard to imagine that there would be negative reviews for such a well-made and highly efficient pocketknife. But, the Cryo line is not for everyone, and therefore potential customers need to know about the negative aspects of these knives that some owners have mentioned in their reviews. One common complaint that many people have is the country where the knife is manufactured. Authentic Rick Hinderer knives that are exclusive to his own line of blades and manufactured by him are all Made in the U.S.A. However, the Kershaw Cryo knives are all Made in China. You can verify that by the inscription that is on the blade of the knives. 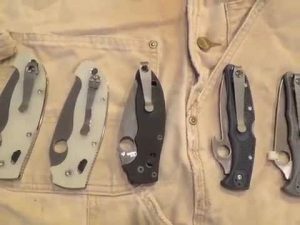 Hinderer’s knives are very different from those he designed for Kershaw, although those who are familiar with his brand can spot the attributes he added to the Cryo line. His knives are also extremely expensive, especially when compared to the modestly-priced Cryo and Cryo II. 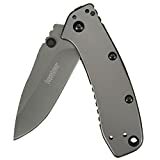 Those who were expecting to get a Hinderer knife at such a bargain typically have negative things to say about the Kershaw Cryo simply because they aren’t a 100% Rick Hinderer product. Some consumers may not be a big fan of the overall design of the knives, especially the larger and much heavier Cryo II. The lightweight original Cryo is great to use daily as a typical pocketknife, while the Cryo II with it’s added weight isn’t considered as a good choice for an everyday knife. Overall, the Kershaw Cryo is a good knife that is versatile, easy to use, and looks great. Hinderer’s involvement with the design and the budget-friendly price make up for the few issues mentioned in the few negative reviews regarding this quality line. Consumers looking for a solid, dependable, and affordable pocket knife should consider buying the Kershaw Cryo. It can be used in a variety of situations making it the perfect EDC for your money. This collaboration of the Kershaw brand and knife designer Rick Hinderer is a gift to knife enthusiasts everywhere. Just be sure that you know what you are buying before you decide to purchase one. This quality knife may not be quite the Hinderer exclusive you always wanted, but it is still a well-made product that no serious knife collector should resist owning.